There are a plethora of beautiful and inventive color wheels online. 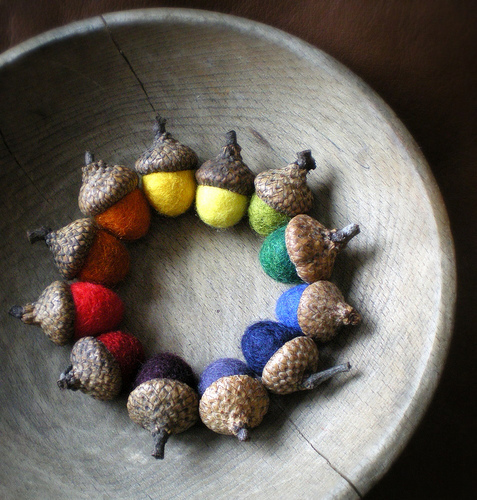 They are a magnet for creative thinking because of the instant recognition in different formats, like for example the circle of felted acorns above. 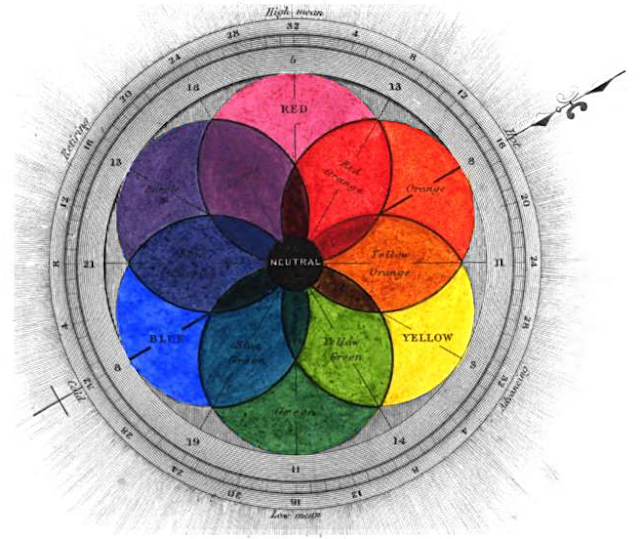 But what is a color wheel and where did they come from? A color wheel is essentially a visual organization of hues. "Color circles have been used to describe associations of colors from medieval times, but the first known example of the representation of hue in the form of a wheel, or circle, is traced to Sir Isaac Newton; whose keen mind was for some time focused on the nature of light and color." (via Lines and Colors). Newton was the first person to prove that white light was made up of colored light. He used two prisms to refract white light in to a rainbow and then re-consolidate the rainbow back in to white light. 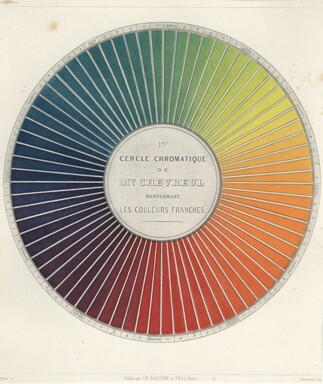 His color circle was first published in his book Opticks in 1704. 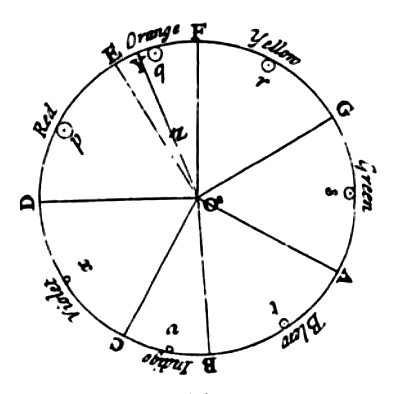 His color wheel was unlike modern color wheels as he maintained the proportions of the spectrum. "[Newton] divided his colour wheel in musical proportions round the circumference... Each segment was given a spectral colour, starting from red at DE, through orange, yellow, green, blew [sic], indigo, to violet... The centre of the circle, at O, was presumed to be white. 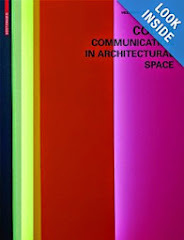 Newton went on to describe how a non-spectral colour, such as z, could be described by its distance from O and the corresponding spectral colour, Y." 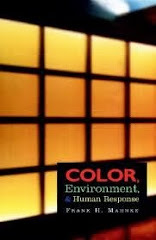 A color quality that today we call saturation. 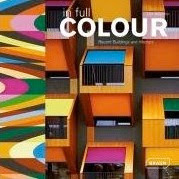 But the idea of organizing color was more than a scientific curiosity. It had real economic repercussions. 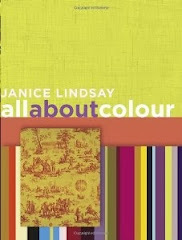 "Locating and describing the natural order of color would also have a clear significance for eighteenth-century color-based manufacturers. 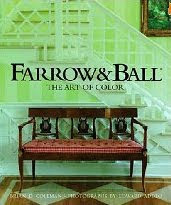 Knowledge of the number of basic colors would suggest how best to create others. The economic benefits of a limited palette demonstrated in color-making practices—notably textile dyeing and printing, and enamel painting—would thus be extended further." (Via Sarah Lowengard) But color palettes, "primary" colors and color names differed between professions, manufacturers, and countries. 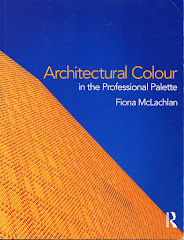 Colors identifications even differed depending on materials: paint or fabric? light or dye? 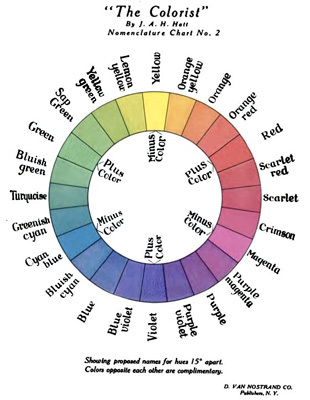 Since the color circle was first used it has been criticized for its total lack of subtractive color mixing, the fact the it doesn't match up with the spectrum, and that it distorts color theory and instead aims for visual symmetry. 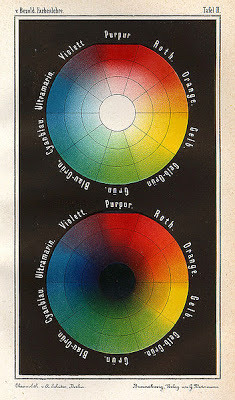 Modern scientific classifications of color have moved to chromaticity diagrams., many of which can be seen over at this Wiki list. 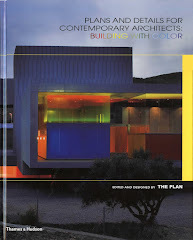 Which while more accurate have failed to inspire many creative re-makings. 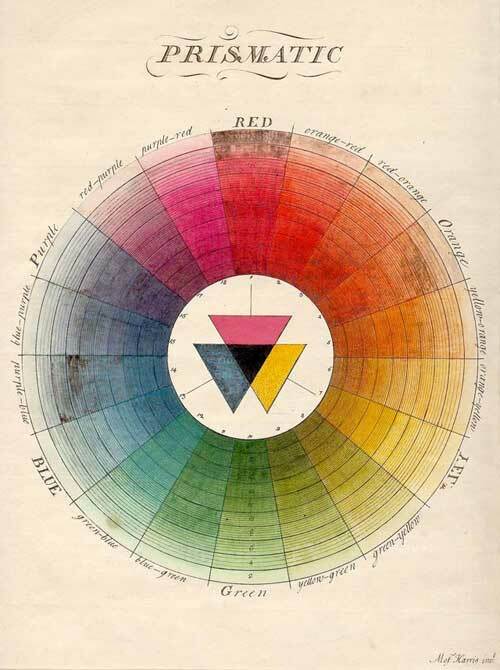 For a very well researched and in-depth history of this color system please read Sarah Lowengards The creation of Color in Eighteenth-century Europe. The writing is pleasant and interesting.